12.10.18 19:32;Account;Receive;Received Payment 5.4 USD from account U16477068 to account U1294000. Batch: 231956746. Memo: API Payment. Withdraw to allhyips from coinpayhour.biz. 13.10.18 10:39;Account;Receive;Received Payment 13.5 USD from account U16477068 to account U1294000. Batch: 232007900. Memo: API Payment. 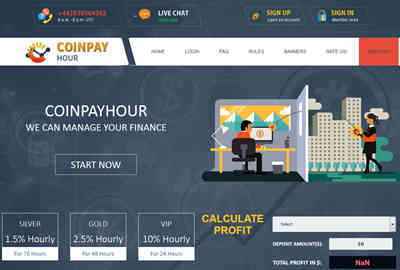 Withdraw to allhyips from coinpayhour.biz. 13.10.18 19:28;Account;Receive;Received Payment 8.6 USD from account U16477068 to account U1294000. Batch: 232053216. Memo: API Payment. Withdraw to allhyips from coinpayhour.biz. 14.10.18 11:37;Account;Receive;Received Payment 15.4 USD from account U16477068 to account U1294000. Batch: 232104503. Memo: API Payment. Withdraw to allhyips from coinpayhour.biz. Page generated in 0.2593 seconds with 14 queries.